Last week, I peeked inside Urban Outfitters. I saw the typical array of merch: a few turntables, some records, a variety of classic rock tees. Although we live in 2018, our generation has an obvious curiosity for nostalgia. Sure, we can vibe with the Top 40. But we also embrace music that came before us. After all, where would we be today without the achievements of past artists? “In Retrospect” will cover notable events of the week’s past -- all pertaining to artists in the last century. You can sample the musicians of the week (and those they’ve influenced) via Spotify playlist here. In retrospect, here’s this week. 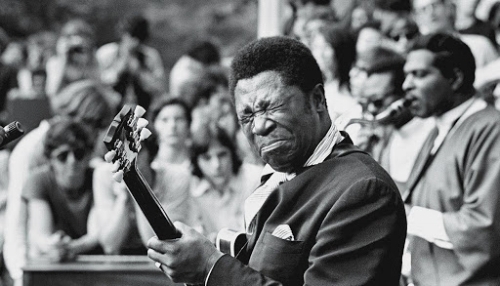 Remembered as the “King of the Blues”, B.B. King was born September 16th, 1925. His artistry is considered a foundation for blues music - BBC has dubbed him “one of the most influential singers and guitarists ever.” In addition to recording dozens of albums, King was a mentor to many R&B musicians. Notably, he had a close friendship with Jimi Hendrix. His legacy continues to influence modern artists to this day: Kendrick Lamar, Ice Cube, 50 Cent have sampled King in their work. Back when 7-inch single records were a thing, a few guys from Liverpool released (yet another) chart-topper. On September 13th, 1965, The Beatles released “Yesterday” in the United States. Composed and performed by Paul McCartney, it made for the first solo performance within the band. Paul is now 76 years old. He’s still writing hits to this day – he released his 18th solo album “Egypt Station” less than a week ago. Amy Winehouse was born on September 14th, 1983. She signed her first record deal at just 16, thanks to a classmate who passed on her demo tape to a label. With her unique style and eclectic sound, she won five Grammy Awards for her 2006 album Back To Black. 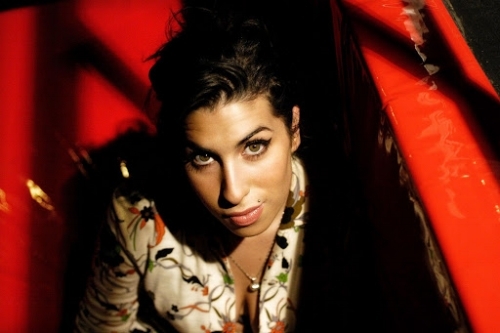 She has been praised for her individuality and has influenced several female artists: Adele, Lady Gaga, Florence Welch, and Lana Del Rey have all pointed to Winehouse as one of their greatest inspirations. The first annual MTV video music awards show aired on September 14, 1984. Winners included: The Cars “You Might Think” (Video of the Year), Cyndi Lauper’s “Girls Just Wanna Have Fun” (Best Female Video), and Michael Jackson’s “Thriller” (Best Choreography, Best Overall Performance, Viewer’s Choice). Tupac “2Pac” Shakur is remembered for his revolutionary approach to hip-hop – his lyrics started conversations about rap and race relations. Considered one of the best rappers of all time, he passed away on September 13, 1996. He was only 25 years old when fatally shot in Las Vegas. The case still remains open, but the Los Angeles police believes “it was a gang retaliation murder”. 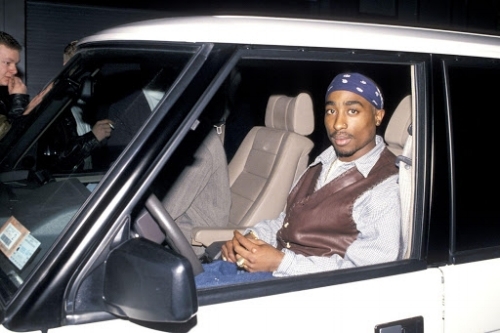 Though gone too soon, Tupac made a lasting impact on the genre. He has directly influenced J. Cole, Kendrick Lamar, and Lil Wayne, amongst others. Stefani and Rossdale met in 1995, when No Doubt opened for Bush. It was a classic love story: the hip vocal powerhouse and the British post-grunge rocker. The two stars married on September 14th, 2002. Although their divorce was finalized in 2016, Rossdale has said, “I still think she’s incredible. It was a lovely 20 years, and we have 3 amazing children.” Both artists have led solo careers and can still be seen in the occasional tabloid magazine.